Featuring four well appointed bedrooms, three baths and a study this home located in the desirable Heritage Addition has so much to offer! Awesome three bedroom, two bath home...just off Boat Club Road. 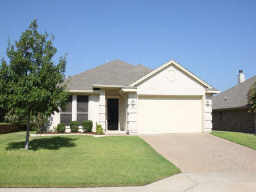 Clean and well maintained - all you need do is move right in! For more information on these or any other listings in the area, call us direct (817) 337-0000. See you this weekend! The Young Artists of Texas will be the featured talent for the August Public Arts Show at Keller Town Hall. YAT was established in 2005 as a non-profit organization by Jenny Tilbury. The mission of the organization is to provide students with an environment to pursue a career in the arts. They are given the opportunity to display their art at 12 off-site gallery showings a year and Keller Town Hall is the gallery for August. There will be a special "Meet the Artists" reception on Thursday, August 12 from 7 p.m. to 9 p.m. A family-friendly event. For information, call (817)743-4000 or e-mail publicarts@cityofkeller.com. Stay tuned to the Grove Team blog for upcoming events in September! Finally, North Texas has had a day below the century mark! The low 90s almost make us want to grab a sweater...as the fall approaches, here are some neat ideas to make your home feel a little more cozy. Just as animals use the fall to prepare for winter, now is the perfect time to transform your home into a cozy nest where your family and friends will love to gather. * Put out the welcome mat - literally. Make visitors feel welcome from the moment they step through your door. Decorate your front door with a seasonal accent and an attractive mat. * A crackling fire naturally draws people to it. Rearrange your furniture to create a conversation area around your hearth. If your home doesn't have a built-in fireplace, there are a number of attractive electric fireplaces on the market that provide warmth with no mess or outside vent. Some even hang right on the wall. * Light the candles. Choose candlesticks in metallics (gold is popular now) or in warm colors. For a unique look when entertaining, Bean suggests making your own votives from apples or gourds with a votive carver. * Bring the beauty of outside, in. Add richness to your home by using fall's palette of warm colors. Select fabrics and accessories in warm shades of browns, reds, oranges and yellows. Increase the feeling of coziness by adding layers - think table runners on top of cloths or rugs over carpets - and texture in the form of nubby throws and pillows scattered throughout the room. * Drape your home in warmth. Now is also the time to replace the summer sheers for more substantial curtains, which can keep out drafts and add color and texture to a room. For added energy savings, check out the variety of thermal window treatments available. * Think back to black. A touch of black can add sophistication to your home decor. Use it sparingly though, perhaps in a few picture frames, a ceramic vase or a throw or pillows, because too much black can make the room look dreary. * Continue the theme with decorative accents inspired by nature. Brighten the mantel with a swag of fall flowers and leaves or use artificial flowers to make your own autumn centerpiece. Bean likes to use mums or natural dried grass in unexpected containers such as baskets, terra cotta pots or chipped china pitchers or bowls. Scatter a few gourds, ceramic pumpkins or a leaf-shaped accent piece throughout the room to complete the look. (ARA) - You love the look of natural wood flooring but are afraid to install hardwood because you know the floor will take a beating from the kids, dogs and the heavy day-to-day traffic all too common in modern family life. But you don't have to sacrifice high style looks for boring sensibility when considering a new flooring option in your home - not if you choose laminate, that is. Today's best laminates combine the realistic grain and texture of wood with high durability and scratch and indentation resistance that "authentic" wood floors don't provide, according to Jeff Katz, director - laminate for Tarkett Residential, a leading provider of innovative and sustainable flooring. And not only are today's laminates available at a fraction of the cost of real wood floors, but they're right in sync with the latest designs. "There's always a new decorating trend around the corner," Katz says. "It's imperative for manufacturers to respond to market demand, keeping up with the most up-to-date trends to ensure consumers are getting the latest in style and design, as well as technology." "That's the beauty of laminate products," Katz says. "They're the new normal - great-looking products that deliver great performance at a great value. When shopping for laminate products consumers should look for flooring that is engineered with sturdy inner core board layers - preferably ones that deliver high impact resistance (at least an IC3 rating). This type of rating helps provide excellent indentation resistance, and when combined with highly rated top surface protection (AC3 or better) kids and pets can run and play freely on laminate floor innovations that provide excellent performance and value, while also reflecting and accommodating their changing tastes," Katz says. "Laminate flooring solutions keep up with their day-to-day life. That's something we know will never go out of style." For more information about the latest trends in laminate flooring, visit http://www.tarkettna.com/. This site, sponsored by the Texas Association of REALTORS, contains a searchable online database of database of homebuyer-assistance programs. You are able to find Texas-based programs that offer downpayment assistance, below-market mortgage interest and other aid. To find programs, the user supplies information about income, family, and homeownership status and location. The site returns results that apply to that person's situation. TxHomePrograms.org provides information on issues that might affect first-time buyers, such as predatory lending and credit repair. The Grove Team is here to assist you with all of your real estate needs! Whether you need to buy, sell, or both we can work with you through the process. Give us a call...(817) 337-0000. Nine out of ten first-time homebuyers thing they're prepared for the expenses associated with owning a home, yet more than half of people who bought a home last year say they underestimated what it would cost. These findings from a BBVA Compass online survey suggest that a good number of first timers do benefit from the counsel of a real estate agent. 76% - Percentage of first-time homebuyers who relied on their agent to understand the process, compared to the 46% for repeat buyers. 56% - Percentage of first-timers who cut spending on entertainment, vacation, luxury items, or made other sacrifices to purchase a home. 63% - Percentage of first-time buyers who did not find the mortgage application process and approval process difficult to navigate. 4% - Percentage of first-time buyers rejected by two or more mortgage lenders. 25% - Percentage of first-timers who used a conventional loan to finance their purchase. 58% - Percentage of first-time buyers who used an FHA loan. 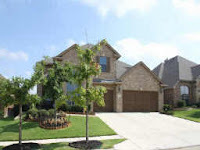 Rates are still low and inventory is great - are you considering purchasing a new home? Call on us...(817) 337-0000. This amazing corner lot features four bedrooms, a study and three bathrooms with over 4,000sqft! 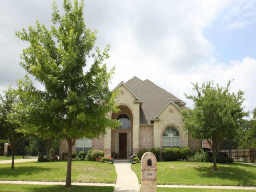 Situated in the private Rancho Serena Addition in the heart of Keller this is truly a great bargain. Looking for an awesome home in the Heritage Addition? Look no further! Handscraped wood floors, three car garage, and radiant barrier just begin the list of amazing features. Offers four bedrooms, a study, and three baths. As the lazy days of summer begin to wane, the frenzy of the new school year is upon us again! To better assist you, click on the link to your school district below! Careers worth having, businesses worth owning, and lives worth living. Today, Keller Williams Realty stands as the second largest real estate franchise company in the United States, with nearly 700 market centers in North America. "It's not about the money. It's about being the best you can be!" Having studied the systems used by thousands of the highest producing agents in North America, Keller Williams has created the model for what it takes to succeed in real estate and reinforces its winning models through training, coaching, educational events and a best-selling series of publications. At Keller Williams, the perspective is that real estate is a local business driven b individual associates and their presence with their communities. It is a deep conviction that the agent, not the company is the brand - and that the company's primary role is to help agents build their own businesses. This goes beyond simply selling real estate. Great riches only matter to the extent that they fund a great life with great meaning. Keller Williams is defined by a culture of agents who care deeply about each other and are committed to having a positive impact on their clients and their communities. Keller Williams Realty is a company that changes lives. Are you or someone you know considering a career change? Does real estate sound like something you would enjoy? Contact us at the Grove Team and allow us to talk to you more about the industry and Keller Williams! Keller Williams has done it again! "Highest in Overall Satisfaction for Home Buyers Among National Full Service Real Estate Firms," THREE YEARS IN A ROW! Keller Williams Realty received the highest numerical score among full service real estate firms for home buyers in the proprietary J.D. Power and Associates 2008-2010 Home Buyer/Seller Study. For your experience, contact the Grove Team directly!